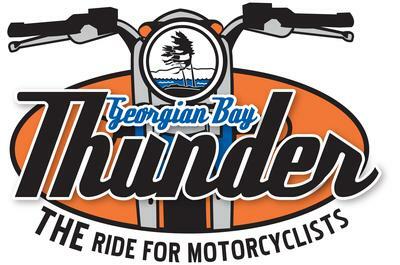 Georgian Bay Thunder Weekend is taking place on July 12, 13, 14, 2013 in beautiful Little Lake Park in Midland. There will be music, camping and a refreshment tent in the park on Friday night. On Saturday July 13, 2013 join us for a 120km ride through the beautiful Southern Georgian Bay landscape. The day includes Brag & Buff, vendors, free draws and prizes, halfway stop in Penetanguishene, donated snacks and lunch for the riders and an evening concert featuring 11 North with refreshment tent. 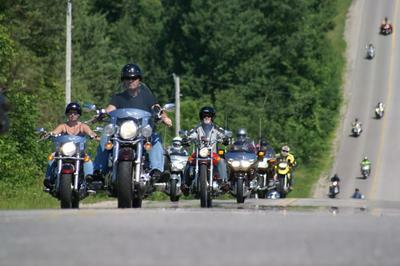 On Sunday the riders are invited to meet at the band shell and head out for scenic Southern Georgian Bay casual rides. Your support as a rider in the 5th Annual Georgian Bay Thunder Motorcycle Ride fosters volunteerism, community involvement, and youth engagement. It ensures that individuals, families and seniors who are homeless or at risk of homelessness and those with no other means of transportation receive the services they need. Riders are also welcome to collect pledges. Any rider who collects $100 or more in pledges will ride for FREE!